Sweater season; it happens quickly in Bozeman. The air is brisk, and snow is likely, but the locals will tell you Fall is one of their favorite seasons. Bozemanites don’t stop playing just because the air cools. The countdown to winter has begun, and in the meantime, there are plenty of cultural and sporting events, entertainment, and outdoor activities to keep you busy. October is packed with events both inside and out. You can enjoy local food, art and sporting events all within minutes of downtown Bozeman. The Fall Farm Festival is a local favorite. Bring the kiddos for hay rides, pumpkin patches and delicious food, (think; cider doughnuts)! Pick your own raspberries, and tour this beautiful farm, just a few miles from town. Hours are Friday from 1pm - 5pm, Saturday and Sunday, 9am - 5pm. Hay bale or corn, the mazes here don’t disappoint. Put it this way; it’s not uncommon to ask for clues to get out. Bozeman Straw Bale Maze: Constructed from hay bales, this maze is great for families. Activities include a bungee trampoline, mini-train, hay ride, corn bins and pumpkins. Montana Corn Maze: This corn maze is located on a 160-acre farm in nearby Manhattan, MT, first homesteaded in 1897. Today, the maze draws people from all over the state to try to exit out of 2.5 acres of twists and turns. This year’s theme is “Farmers Market.” Good luck! Watch some of Bozeman’s local artists create original works on the spot. You’ll watch painting, fiber art, and jewelry making while enjoying an evening of cocktails, appetizers, music and dancing. The evening culminates with a live auction of the artwork! 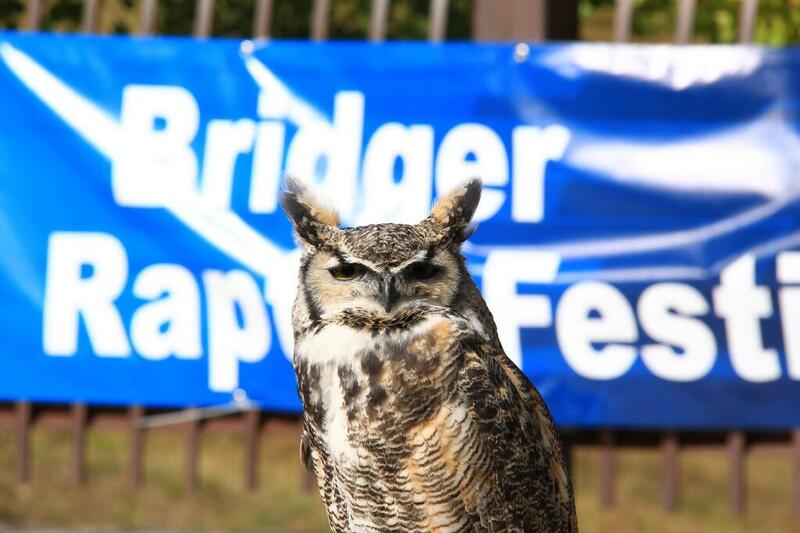 Centered around the largest known golden eagle migration in the United States, the Bridger Raptor Festival is a free, family-oriented local favorite. Each year, a formal raptor migration count takes place at Bridger Bowl ski area and along with it is a full weekend of educational talks, raptor viewing and entertaining activities. The festival kicks off October 5 at the Ellen Theatre, with keynote speaker Amanda Rodenwald. The fall bounty is here and the farmer’s market has moved indoors. In addition to the produce, you’ll find locally raised meats, honey, and other hand-crafted foods. Grab your blue and gold and get ready for some serious school spirit! The Montana State University Bobcats take on the Idaho Vandals in this year’s homecoming game. Festivities kick-off with a Friday evening pep rally in downtown Bozeman. Saturday starts with the annual homecoming parade, followed by tailgating at the stadium. Go Cats! The season for Intermountain Opera Bozeman starts with a festive fashion. The adventures of young Frederic, mistakenly apprenticed to a band of pirates at birth, the lovely Mabel and her sisters, pompous Major General Stanley, and of course the rowdy Pirates of Penzance themselves! Prepare for a night of laughter with the parody and silliness that ensues during one of the most popular and hilarious productions that has ever brought to the stage. This hysterically funny operetta is wrote by the comedic genius of Gilbert and Sullivan. Winter enthusiasts of all age love the iconic films of Warren Miller. This year’s film, the 69th installment, honors the legendary icon by visiting some of Warren’s favorite locations such as Switzerland, France, British Columbia, Alaska, Chile, Iceland and New Zealand. Get ready to get pumped; winter is coming! Voted “One of the Top 10 Live Shows in America” and “Best Touring Family Show in Asia,” Jay brings an evening of storytelling, grand illusions and Bengal tigers to Montana. Bring the whole family, this show is loved by all ages. Get your tickets early! Who says you can’t run in costume? Get ready for Halloween with this 10K, 5K, and kids’ run that helps support the Help Center’s work on suicide prevention and intervention. There are prizes for best costume—dogs included! 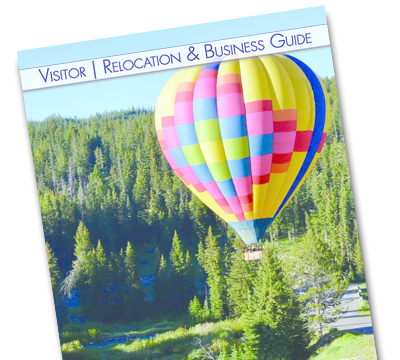 For more trip planning ideas, go to http://www.bozemancvb.com.